The ball mill is a key equipment for grinding materials, widely used in powder-making production line such as cement, silicate sand, new-type building material, refractory material, fertilizer, ore dressing of ferrous metal and non-ferrous metal, glass ceramics, etc. 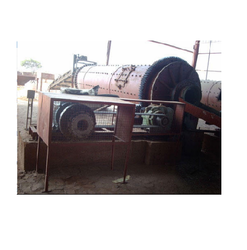 Ball mill can grind various ores and materials with dry type or wet type. 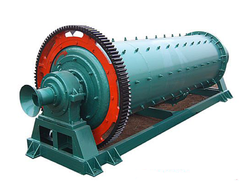 There are two kinds of ball mills, grate type and overfall type due to different ways of discharging material. This machine is a skeleton pattern ball mill with horizontal cylindrical turning gear, driven by outer gear and two hoppers. The material goes to the first hopper after the spiraling by the quill shaft from the feeding equipment. The hopper has ladder sheathing or corrugated sheathing with steel balls inside, which will fall under the effect of centrifugal force by barrel and grind material. After the kibbling in the first hopper, by monolayer partition panel, the material will enter the second hopper, which has plane scale board with steel ball inside to grind material. 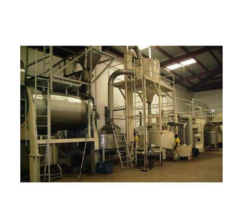 The powder material will be discharged from the grid plate to finish the grinding. The machine is composed by feeding part, discharging part, turning part and driving part (reducer, small driving gear, electric motor and electric control). The quill shaft adopts cast steel part and the liner is detachable. The turning gearwheel adopts casting hobbing process and the drum is equipped with wear-resistant liner, which has good wear-resistance. The machine is with stable and reliable working condition. Moreover, according to different materials and discharging methods, there are dry ball mills and wet ball mills for choice. This machine is a skeleton pattern ball mill with horizontal cylindrical turning gear, drive by outer gear and two hoppers. The material goes to the first hopper after the spiraling by the quill shaft from the feeding equipment. The hopper has ladder sheathing or corrugated sheathing with steel balls inside, which will fall under the effect of centrifugal force by barrel and grind material. After the kibbling in the first hopper, by monolayer partition panel, the material will enter the second hopper, which has plane scale board with steel ball inside to grind material. 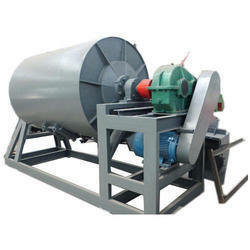 The powder material will be discharged from the grid plate to finish the grinding. The machine is composed by feeding part, discharging part, turning part and driving part (reducer, small driving gear, electric motor and electric control). The quill shaft adopts cast steel part and the liner is detachable. The turning gear wheel adopts casting hobbing process and the drum is equipped with wear-resistant liner, which has good wear-resistance. The machine is with stable and reliable working condition. No. 25, Nilsin Plot, Phase I, G. I. D. C.